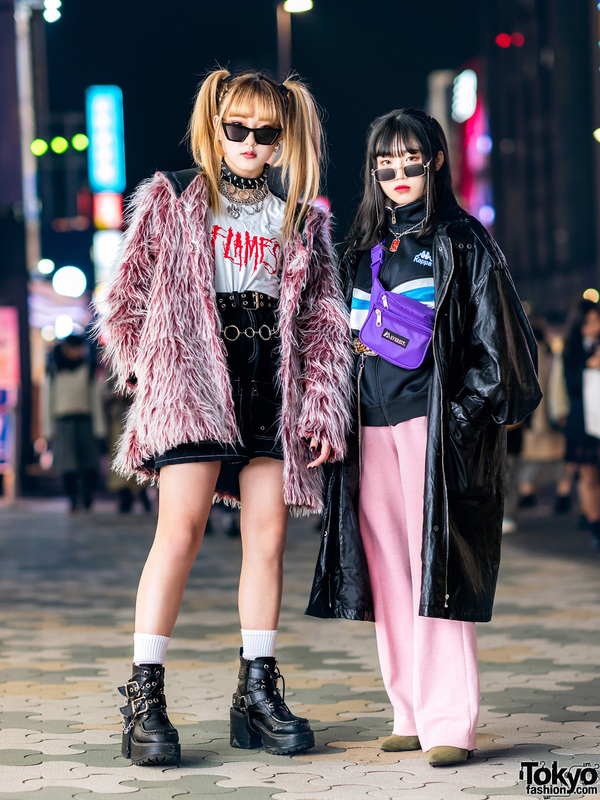 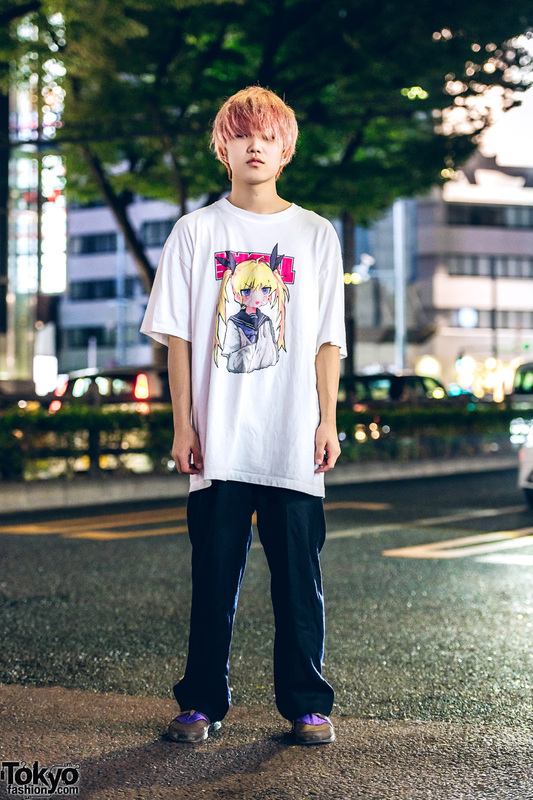 Catching our eye on the Harajuku street one early evening is Kiku with his pink hair and casual streetwear style. 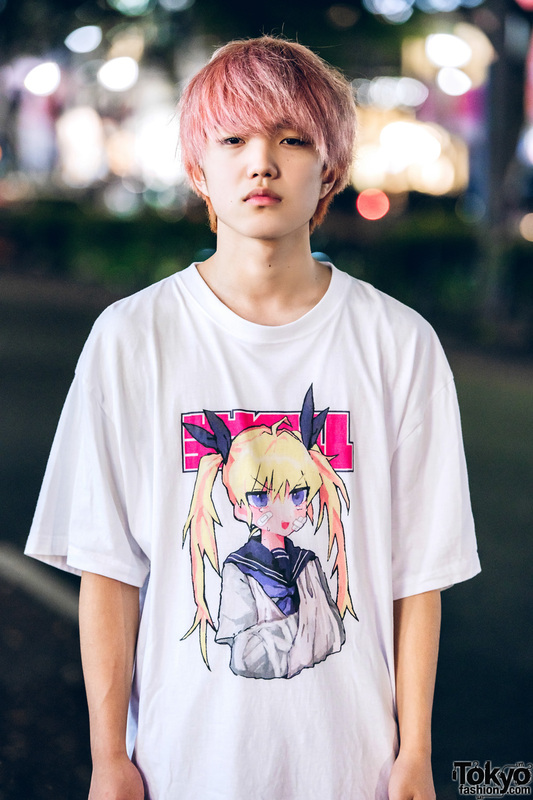 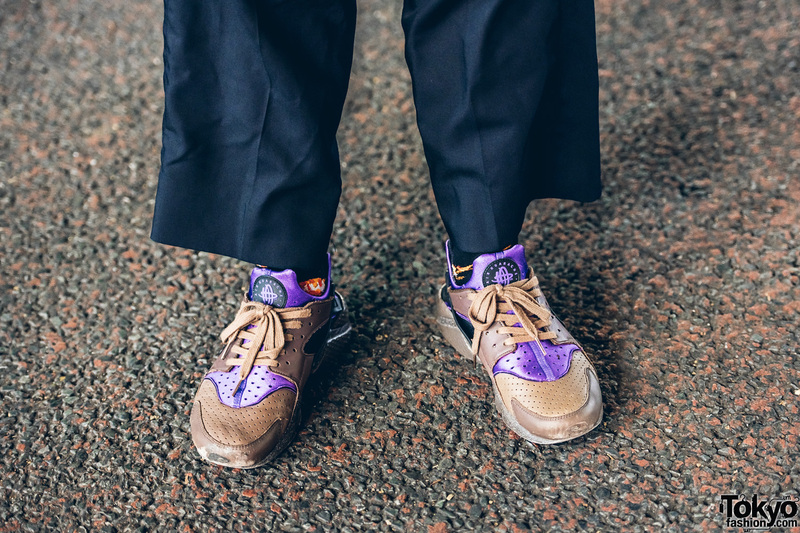 The 16-year-old stepped out in a white t-shirt with anime print from omom_zzz, which he paired with black pants from Y’s, black printed socks and Nike Air Huarache sneakers with brown-and-purple colorway. 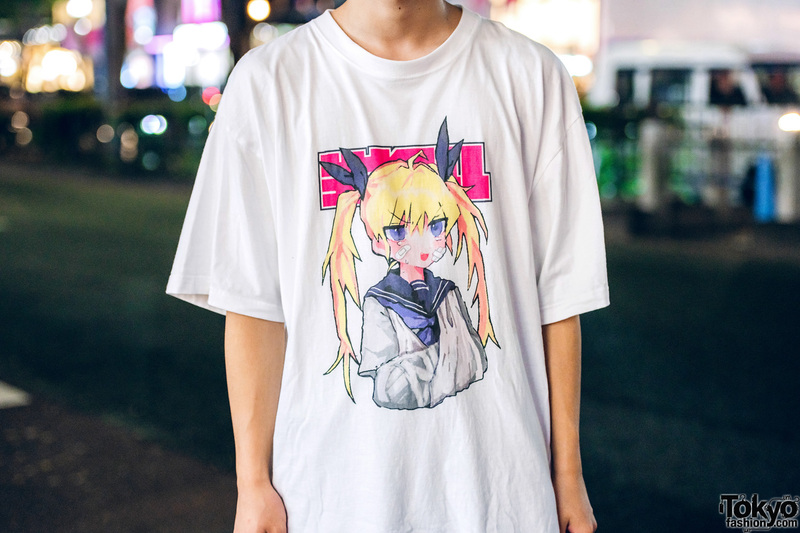 Kiku’s favorite fashion label is Balmung, and he likes listening to the music of alternative/indie Japanese band, Sleet Mage. 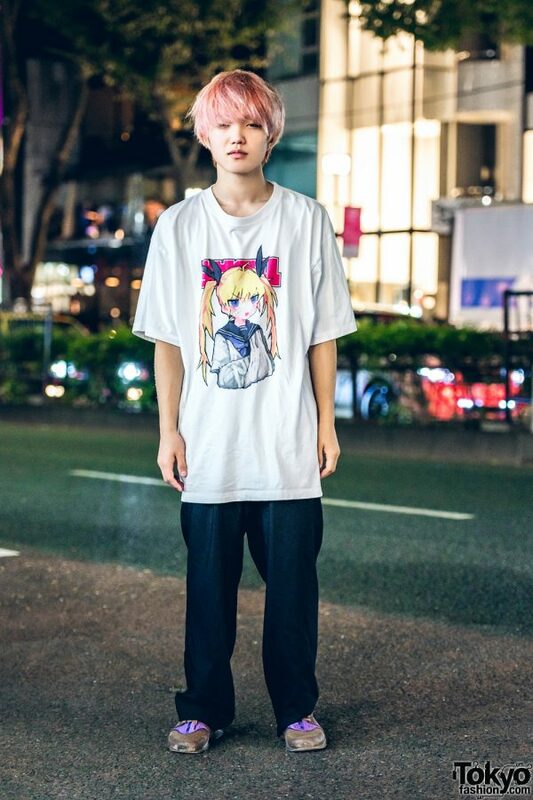 For more of his streetstyle looks, follow Kiku on Instagram.